In the middle parts of the third century, the Roman Empire suffered from what is often characterised as a “crisis” or a period of “military anarchy” that lasted from the death of Alexander Severus until the reign of Diocletian. During this time, the Empire suffered from a rapid turnover of emperors, near constant warfare (both civil and against Sassanian Persia in the east and various Germanic tribes in the north), and a debasement of its silver coinage and subsequent recourse to exaction in kind. For many living through this turbulent era, the dissolution of the Roman state must have appeared imminent. But in fact the Empire survived, saved by a series of military emperors that Gibbon called the “Restorers of the Roman World”. The Empire that emerged from this trials is often characterised as a very different entity to that of the period up until the Severan dynasty. 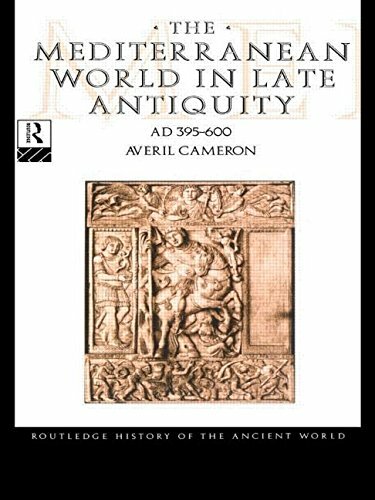 However, in her The Later Roman Empire (the final volume of the Fontana History of the Ancient World), Averil Cameron stresses the continuities with earlier and later eras as much as the differences. From her account, it is clear that the later Empire is a result of processes whose roots are to be found in the earliest period of the Empire, or even in the Republic. 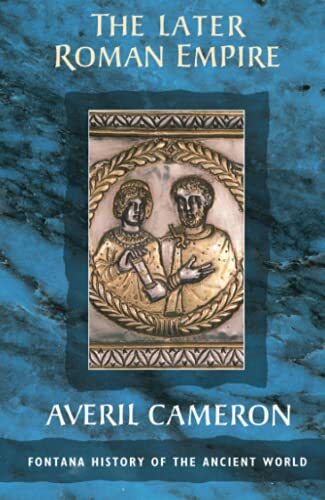 Cameron’s concerns, though, aren’t so much with the crises of the third century that gave birth to the later empire or the causes of the collapse of the West in the fifth century, but the nature of Roman civilisation during the period of relative stability that stretched for over a century from the accession of Diocletian in AD 284 to the death of Theodosius I in AD 395. Roughly half the volume is concerned with political history, with chapters covering the “refounding” of the empire by Diocletian, its Christianisation under Constantine I, the short but illuminating reign of Julian “the apostate” and the Roman state from Constantius to Theodosius. The other chapters cover historical sources for the period (the foremost of which is the great historian Ammianus Marcellinus), the relationship between the Christian Church and the Empire, the economy and society of the period, military affairs, culture, and the flourishing of Constantinople and the East. What emerges most strongly is that the fourth century was clearly not a period of decline for Roman civilisation as a whole. Indeed, the relative economic decline of the West was more than balanced by the vigour of the East and of North Africa. Christian literature flowered, producing such geniuses as Augustine. Travel across the length and breadth of the empire remained astonishingly common, if slow. This continued vitality of Roman civilisation in the broadest sense contrasts strongly with the decline of effectiveness of the central Roman state. Diocletian had transformed the “Principate” of the early empire (in which the emperor was, at least in name, merely the “first citizen”) into the “Dominate” (effectively a military dictatorship clothed as a despotism along Persian lines). At the same time, he had recognised the new importance of the regions with respect to the centre (a change reflected, for example in the rise of local languages for administrative and literary purposes) by replacing a unitary emperor with the “tetrarchy”. In this system, there were senior emperors (“Augusti”) and junior ones (“Caesars”) in both the East and West. None of the emperors had a permanent base, and instead toured (complete with their entire courts) incessantly, taking up temporary residence in many of the increasingly powerful provincial cities, which acquired some of the lustre of Rome itself. Although the tetrarchy failed to outlive Diocletian himself, the Roman state continued to grapple with the rise of the regions until the permanent separation of the empire into two entirely distinct states after the death of Theodosius. Despite these adjustments, the effective power of the emperors was steadily eroded. Despite the vast increase in the number of bureaucrats employed by the state (from a few hundred under Marcus Aurelius to tens of thousands) and the increasing severity of punishments dictated for those who defied imperial edicts, the emperors found themselves largely unable to control the Roman economy or maintain centralised control across their vast domains. Indeed, Cameron presents the severity of the laws as evidence that they were not, in fact, being enforced effectively, and clearly considers the lack of economic understanding (as displayed, for example, by Diocletian’s attempts to control prices by edict) and the concomitant inability to support military operations by taxation as among deep causes of the eventual dissolution of Roman power in the West. Unfortunately, the account stops short of providing a full coverage of the transformation of the Western empire into its various successor states. Nevertheless, this is an excellent (and pleasantly concise) sketch of many aspects of Roman life in one of the more interesting periods of the Empire. I have high hopes for the author’s companion volume, The Mediterranean World in Late Antiquity: AD 395-600.